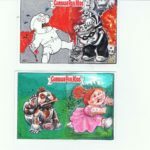 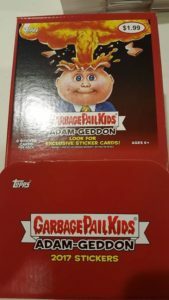 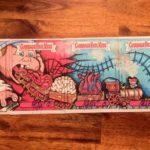 Thanks to eBay member cardgarys for the following pictures the Jumbo Retail and Blaster Box packs for 2017 Garbage Pail Kids Adam-Geddon. 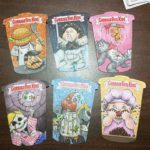 Thanks to Clint at GPK & Wacky Warehouse for the picture of the Gravity feed pack odds. 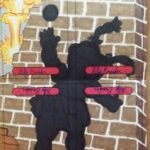 A few interesting things to point out on the odds. 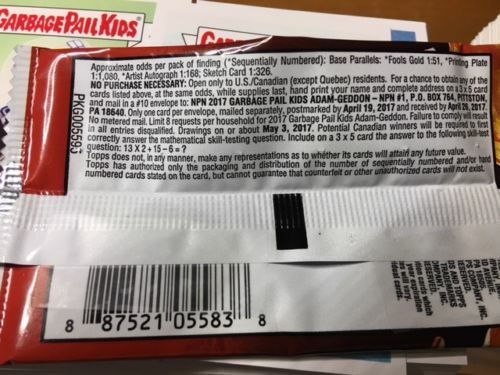 Historically Jumbo packs odds are 1/2 of a regular retail pack. 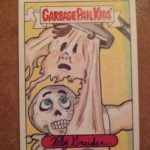 This is because there are twice as many cards in a Jumbo pack. 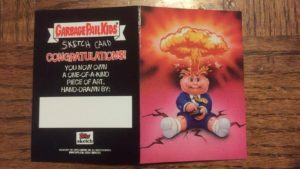 This isn’t the case this time, except with the Gold borders and Sketch cards. 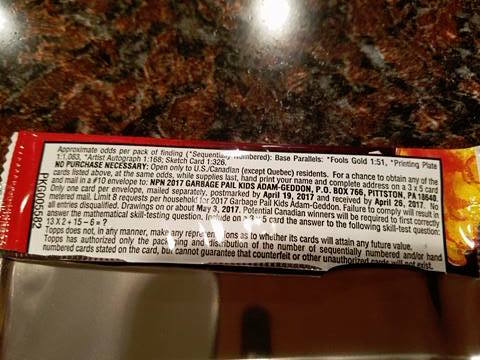 This leads me to believe the hits will be very hard to pull from Jumbo packs. 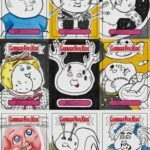 On the positive side all other odds are easier compared to Prime Slime. 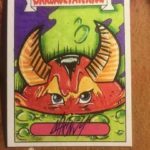 Gold borders, Autos, and Sketch cards are all a little bit easier pulls this time around. 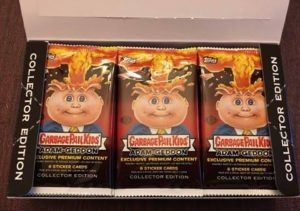 Coupled with the set size being a smaller 180, this leads me to believe retail production is down quite a bit compared to the previous release. 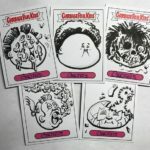 I will have a full rundown of production in a few days after I’m able to run the numbers. 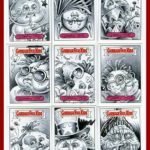 There’re out! 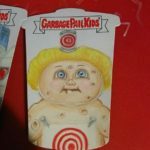 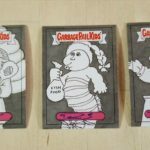 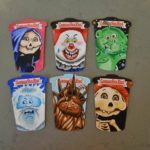 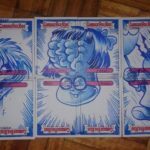 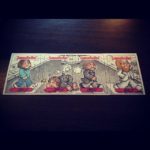 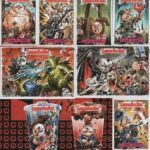 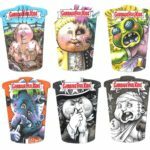 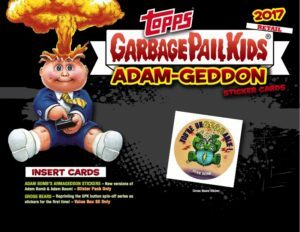 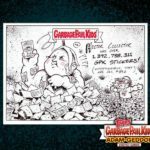 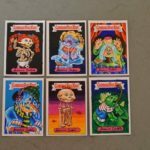 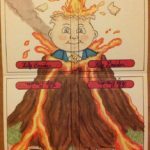 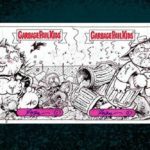 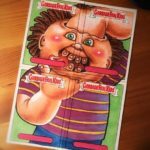 Collectors have begun to see the next retail series, 2017 Series 1 Garbage Pail Kids Adam-Geddon, in stores and hobby shops. 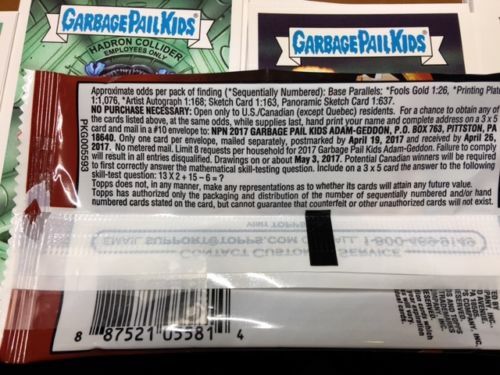 Thanks to collector Ke We we have the picture below of the Collector pack odds. 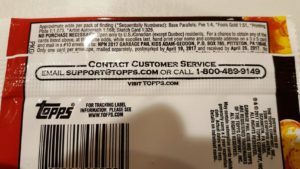 Thanks also to collector Stephen Hiteshew for the Hobby pack odds. 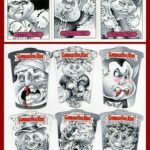 Many interesting tidbits by looking at the Collector pack odds. 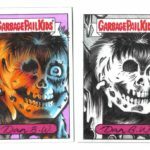 Spit parallels are twice as easy to pull in Collector packs, due to them not appearing in Hobby packs this time. 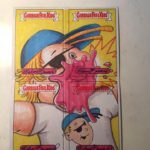 Bloody Nose are the same rate, while Gold parallels are slightly easier. 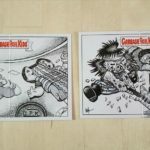 However, major hits are extremely tough compared to previous releases. 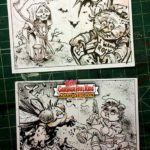 Plates are almost 5x tougher to pull, Dual artist sketches 2x tougher to pull, Shaped sketches are a little tougher, while patches are similar. 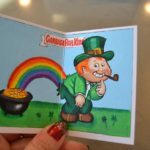 This leads me to believe a couple of things. 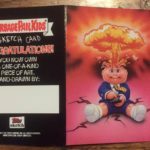 1) There are many less sketches inserted this time around compared to Prime Slime, which we saw in what was issues to artists to complete. 2) Plates have been moved to a different pack type almost completely. 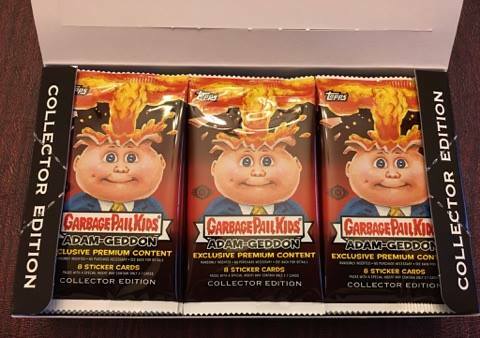 3) Print run of at least collector boxes look to be similar to previous release. 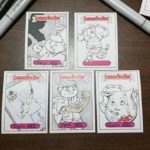 A couple of other notes. 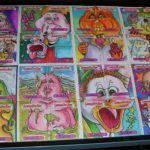 There are 20 patch cards this time, 10a/b all /50. 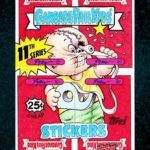 That means the same number of patches exist, just more to put a set together. 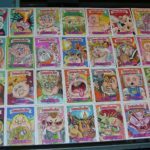 Also Topps decided to cut the set to 180 cards. 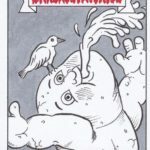 Not sure why the cut, but this leads me to believe total production will be down by 20% this time around. 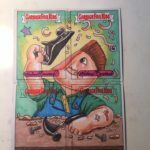 I will have a breakdown of production numbers in the coming days once I can run the numbers. 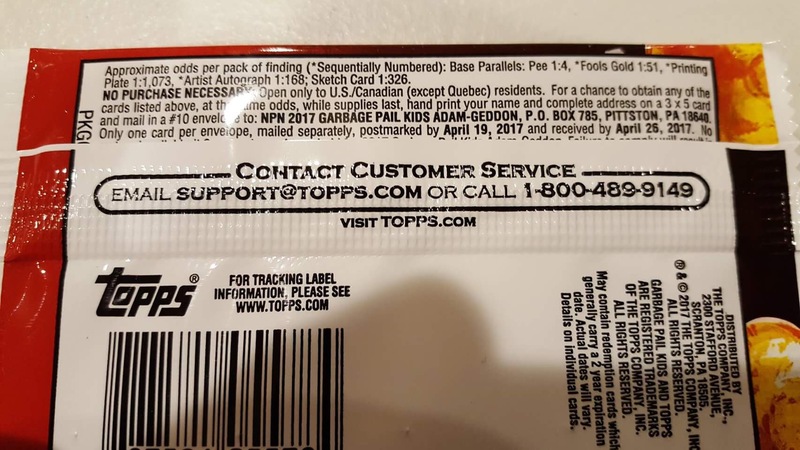 When looking at the pack odds for Hobby packs, what was described in the sell sheets is indeed true. Hobby packs are basically the same as Retail packs. 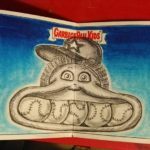 All the odds are the same for each pack type, except for printing plates, which are very close. Hobby packs might be the worst buy this time since you don’t get any extra bonus or parallel cards. 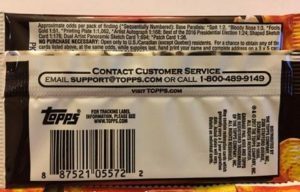 Very disappointing to see Topps take this route with Hobby boxes. Take note of the odds when making your purchase decisions. 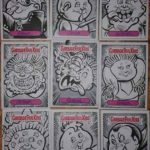 Updated 12/20 with sketches from Chenduz, Heil, Moffett, Isaac and Camera. 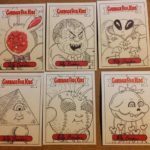 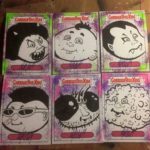 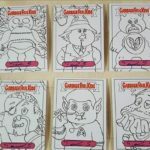 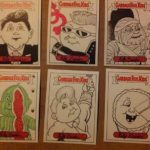 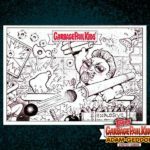 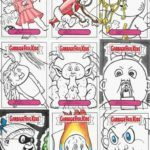 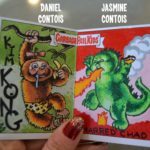 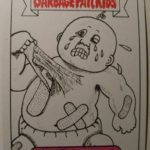 Sketch card artists have been hard at work the last few weeks on the sketches for the next retail Garbage Pail Kids release, Adam-Geddon, set to release in stores on Jan. 18th. 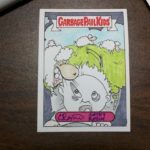 The floodgates have opened and artists have been sharing their approved sketch cards. 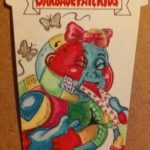 I will keep a running post below as artists share sketches. 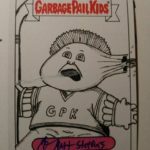 (Note that all sketches must be approved by Topps before being inserted into packs. 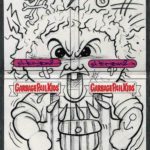 Also, Topps will hold sketches back for replacements.) 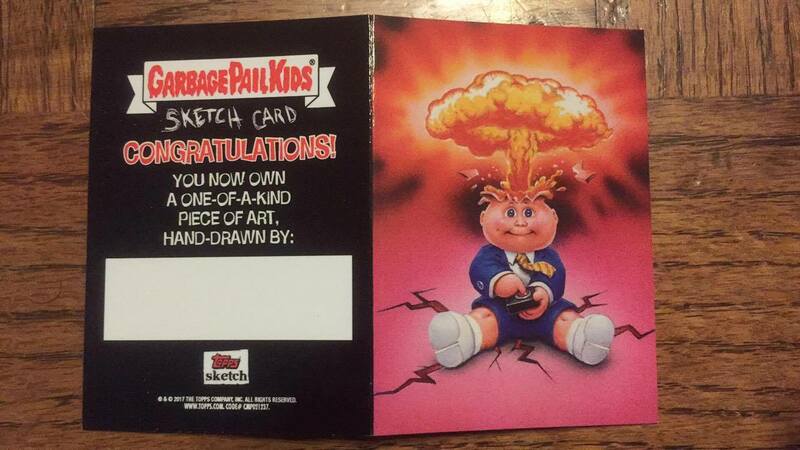 Originally when the artists signed up for sketches on this set, Topps said they could not show previews. 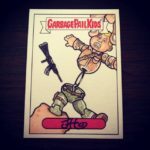 It’s good to see the leadership at Topps change course on that edict, and allow this great work to be shown. 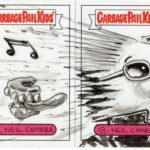 Take note that there is a change to the Dual Artist Panoramic cards this year. 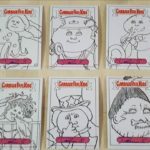 Artists were matched up with multiple artists in some cases. 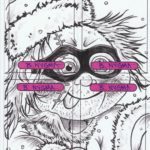 This was due to timing issues with artists living outside of the United Stated. 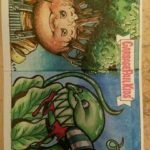 There will be many new pairings this time around. 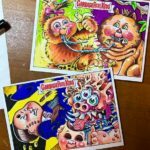 All photos courtesy of the artist’s Facebook page and/or website. 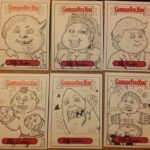 Updated 1/26 to add Joe Simko. 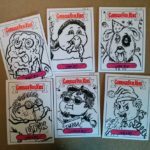 Updated 12/13 to add Brent Engstrom. 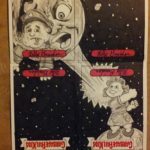 Updated 11/15 to add Joe McWilliams. 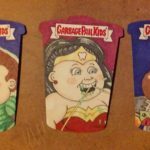 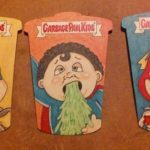 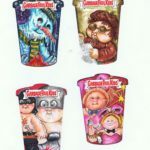 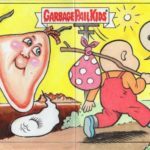 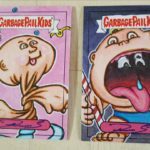 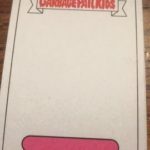 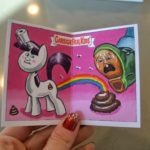 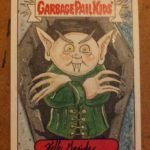 The last six weeks have been very busy for Topps and the Garbage Pail Kids brand. 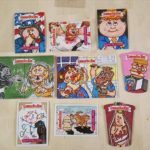 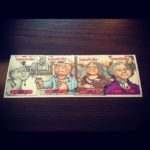 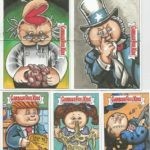 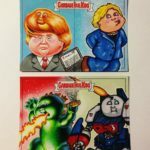 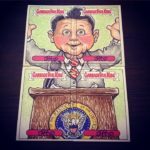 Topps has been busy with the release of 2016 GPK Trashy TV and the online exclusive presidential election sets. That doesn’t leave a whole lot of time from now until Jan. 20th to get 2017 Garbage Pail Kids Adam-Geddon ready for release. 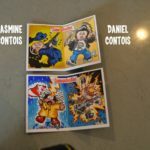 Last week sketch cards artists for the set have begun to receive invitations to work on the set from Topps. 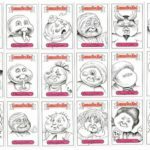 With an early Dec. deadline to have sketches finished, artists will be drawing cards with their turkey this Thanksgiving. 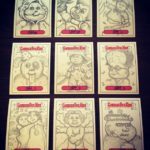 In fact artists have already received their blanks, and are hard at work on those sketches. 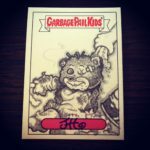 The sketches feature a black back, with a pink autograph bubble on the regular sketch front. 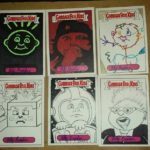 See below for pictures of all the blank sketches, thanks for artist Magnus for the pictures! 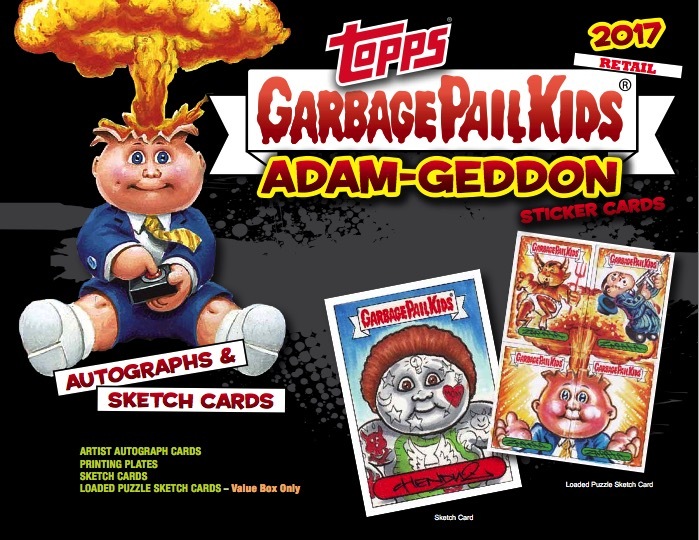 With the 2016 GPK Trashy TV set Topps expanded the artist lineup. 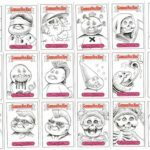 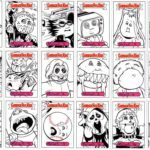 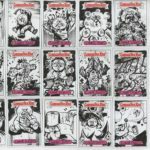 34 total artists completed sketch cards for the set. 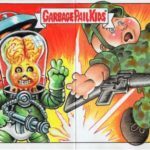 The majority of those artists have confirmed they will return for the first set of 2017, while some newcomers will also make their debut. 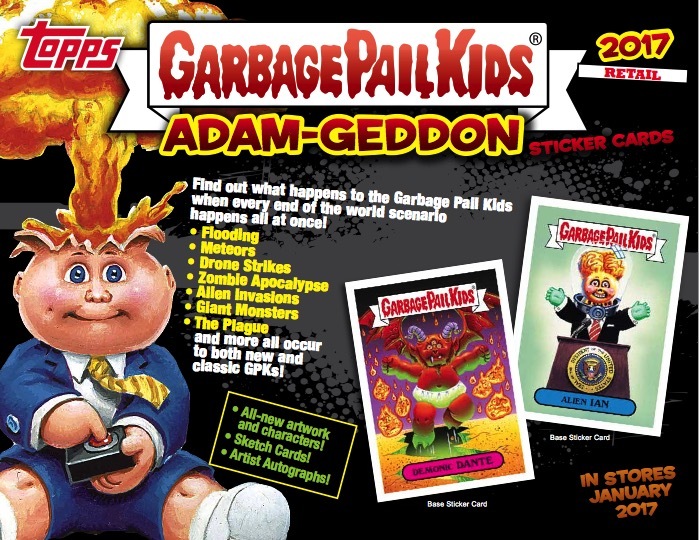 The following is a list of artists who worked on the Trashy TV set, and will return for the Adam-Geddon set. 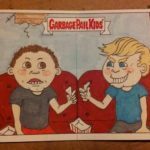 Simone Arena, Michael Barnard, Neil Camera, Daniel Contois, Sobot Cortez, Jason Crosby, “GPK” Dave Dabila, Vincenzo “Chenduz” D’Ippolito, Patrick Giles, Dennis Gortakowski, Cecilia Granata, Jon Gregory, Kelly Greider, Jason Heil, Marisol Henriquez, Lowell Isaac, Robert Jimenez, Matthew Kirsch, Chris Meeks, Lily Mercado, Ryan Moffet, Rich Molinelli, JM Monserrat, Sean Norvet, Barry Nygma, Steve Potter, Cathy Razim, Chad Scheres, Denis St. John, Matt Steffens, Magnus Von Robotsoon, and Dan Burn Webster. 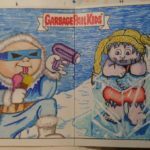 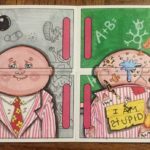 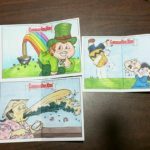 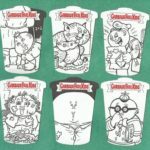 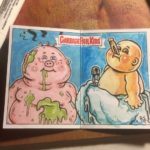 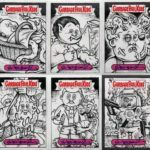 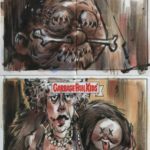 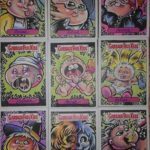 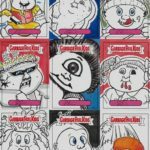 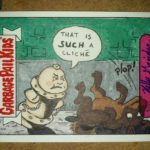 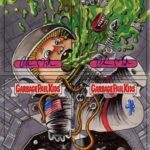 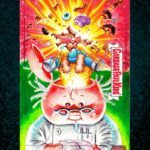 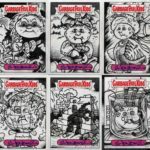 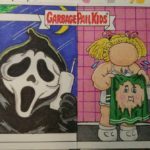 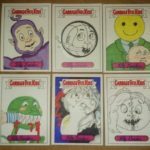 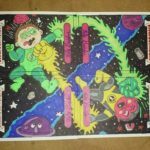 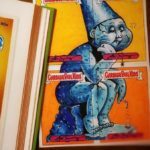 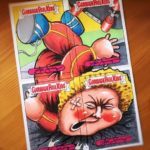 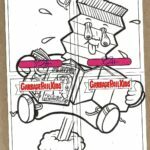 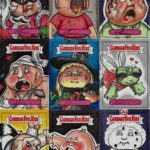 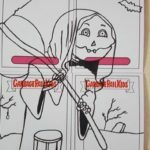 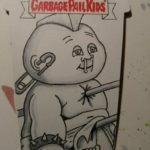 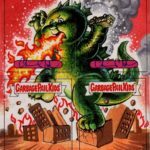 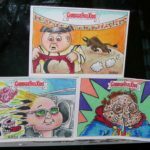 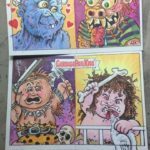 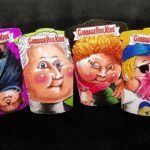 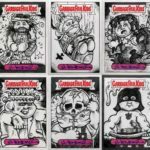 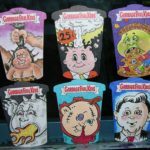 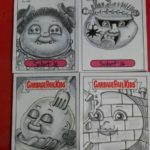 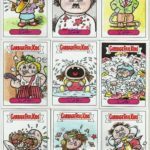 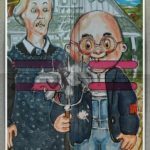 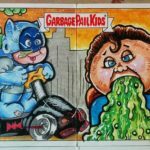 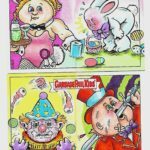 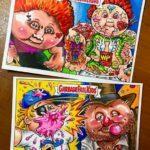 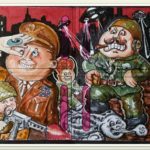 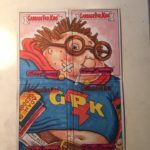 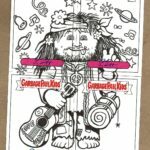 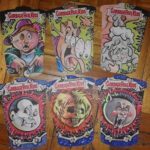 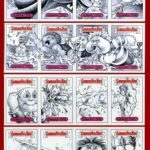 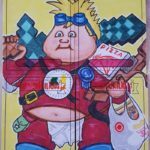 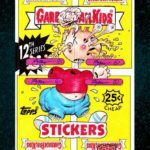 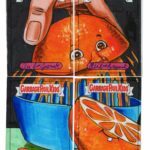 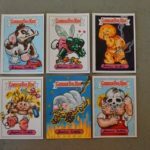 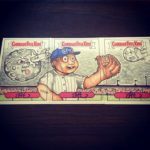 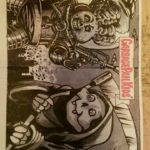 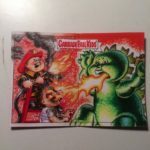 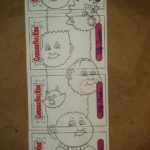 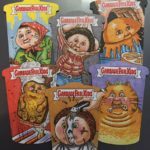 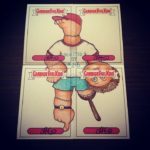 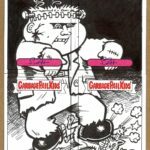 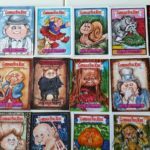 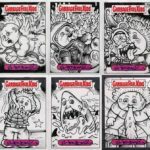 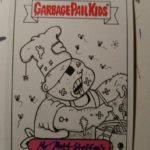 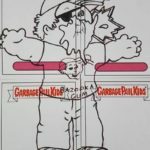 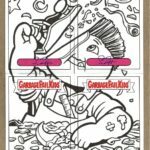 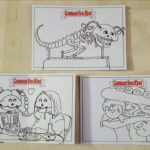 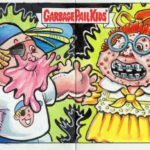 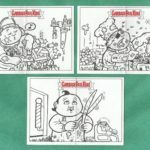 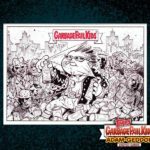 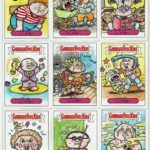 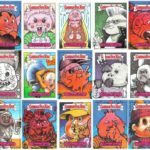 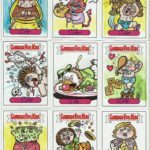 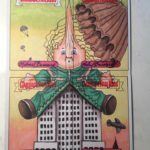 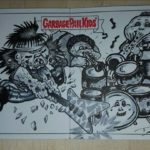 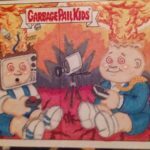 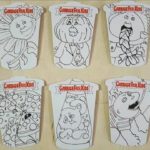 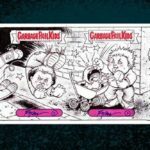 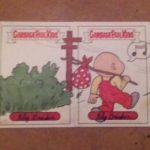 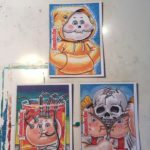 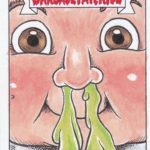 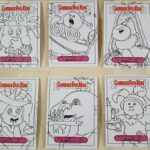 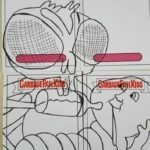 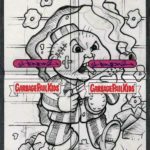 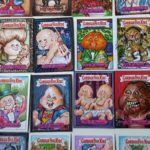 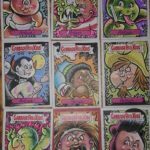 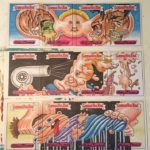 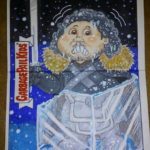 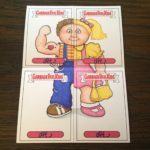 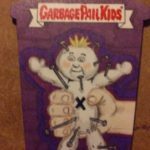 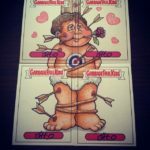 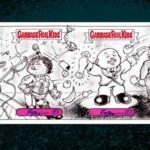 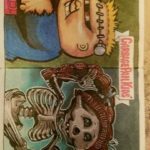 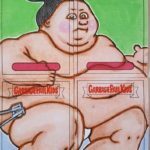 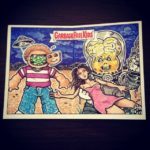 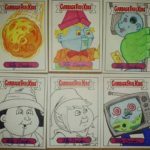 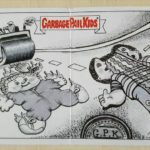 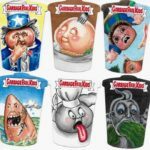 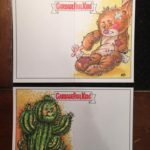 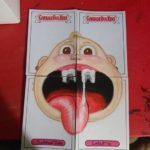 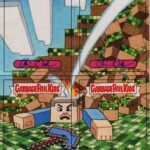 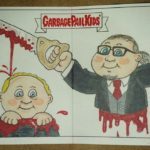 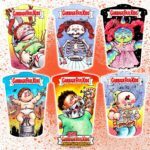 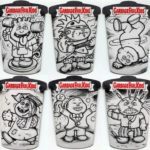 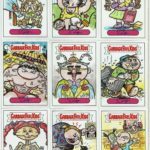 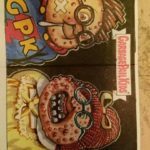 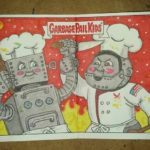 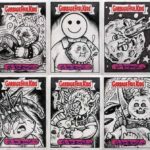 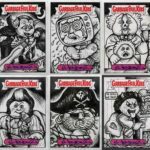 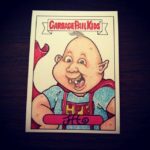 Long time GPK artist Jeff Zapata has decided to take a break from GPK, and will not be completing sketch cards for the set. 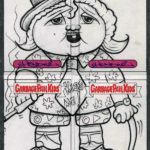 The mystery artist from last set, Yeldarb, as been confirmed as artist Brad Tabar. 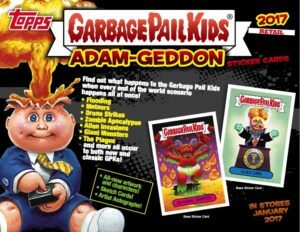 Brad will not be doing sketches on the Adam-Geddon set. 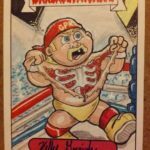 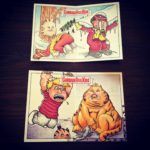 Also of note, mainstay GPK artists Brent Engstrom and Joe Simko are returning to sketch cards after not doing them for the last few years. 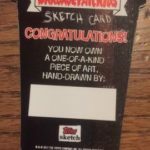 That makes 34 returning sketch cards artists. 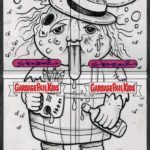 Topps also decided to add on additional artists to the set who have all worked for Topps in the past. 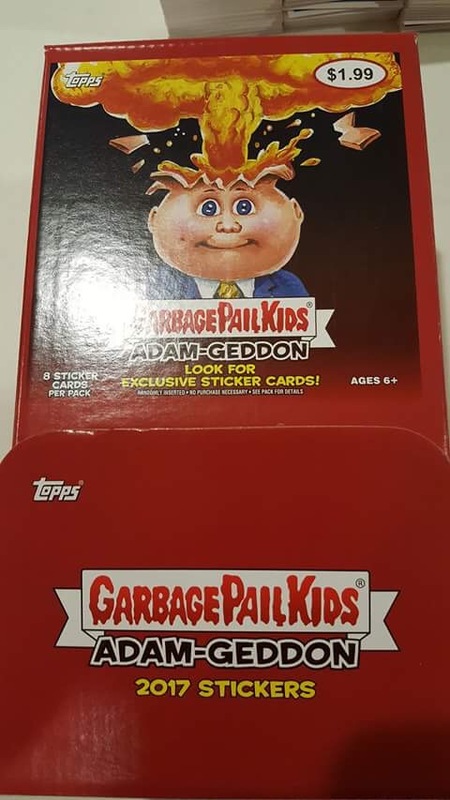 Joining on for the Adam-Geddon set is Jasmine Contois, Dustin Graham, Joe McWilliams and Anthony Skubis. 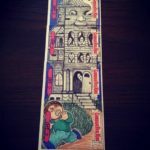 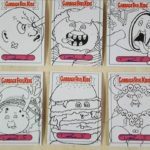 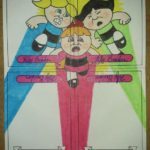 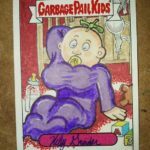 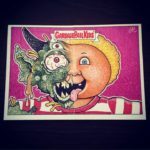 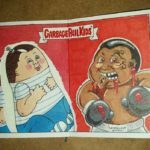 Dustin Graham is a veteran GPK sketch artists who missed the Trashy TV set, but has worked on multiple sets in the past. 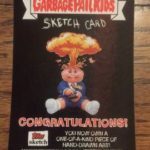 The other new artists are all veteran Topps sketch artists. That brings the current total sketch artist count to 38 for the Adam-Geddon set. 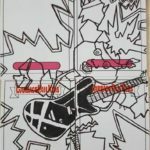 If anyone knows if any other artists confirmed for the set, please let me know! 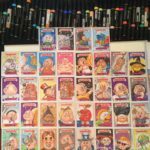 Despite the large number of artists, Topps is cutting way back on the number of sketch cards each artist will complete. 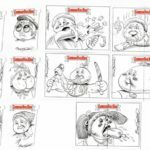 According to some of the sketch artists, their work load has been cut back 50% or more for the various sketch types. 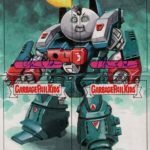 Its too early to tell, but this could have a huge effect on the set. 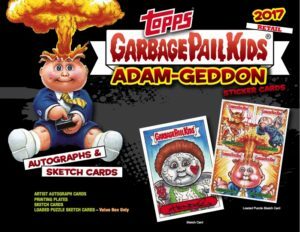 If Topps prints the same amount of Adam-Geddon as they did Trashy TV, sketches will be very tough to find. 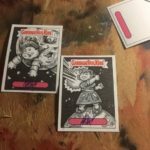 Probably up to twice has hard or more on the odds. 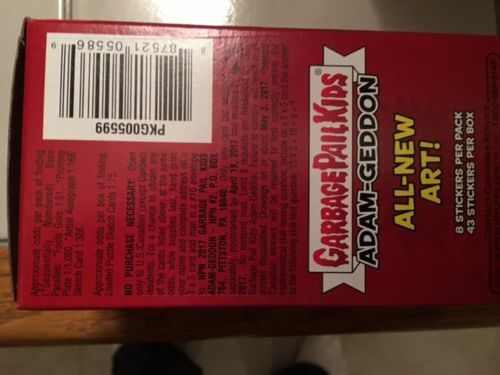 The only other possible explanation would be if the Adam-Geddon was severely under ordered by distributors for both retail and hobby. The bottom line is there will be far less Adam-Geddon sketches available this time around. 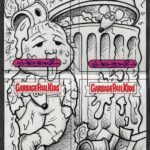 Topps has also made some changes to take note of with the sketch return card process. 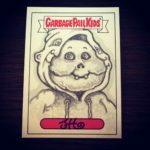 Once again artist’s return sketch cards need to be completed prior to the release of the set, and approved by Topps. 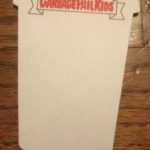 This was a controversial change Topps started with the Trashy TV set, however this time the cards do not need to be mailed into Topps. 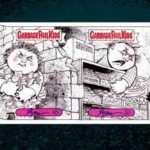 The art director will be approving scans of the returns this time around, limiting the possibility of damage by the postal service. 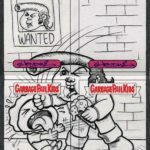 Another change is more additions to the “banned” character list. 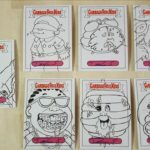 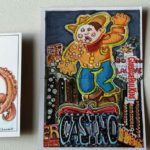 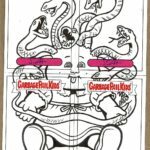 Previous, artists could not draw cards featuring Stan Lee, Gene Simmons, or the Hundreds set. 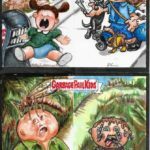 This time around no Disney properties can be drawn, this includes Star Wars and Marvel. 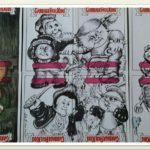 Also the recent music festival set cards from, Riot Fest, can not be sketched most likely due to license agreements. 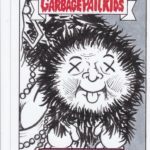 Finally, Topps also will no longer allow the artists to show teasers of their sketch cards prior to the release date. 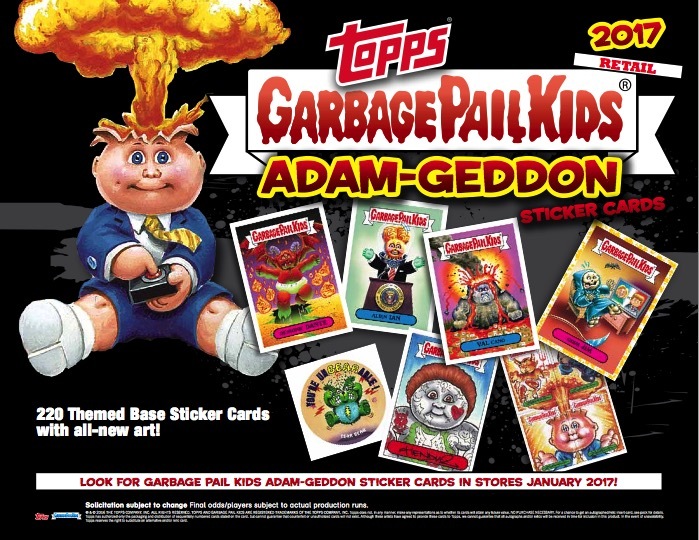 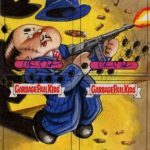 Personally this is disappointing, as GPKnews usually compiles all the previews right up until the release date. 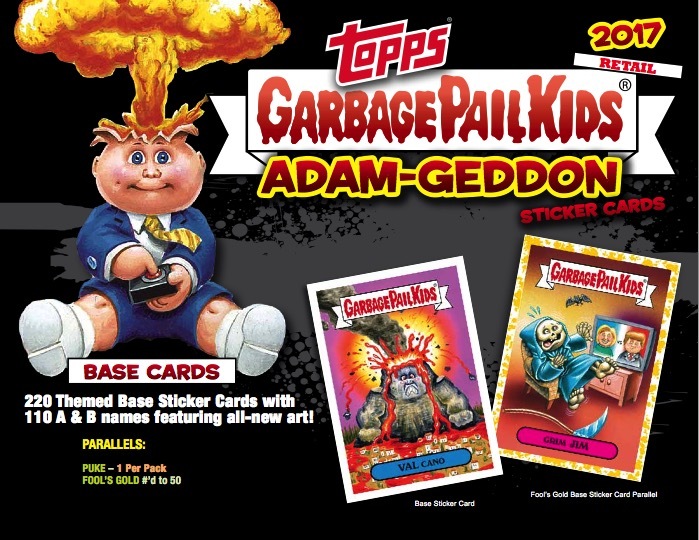 Let’s hope Topps backtracks from this, and realizes the previews is the best free PR Topps can get.